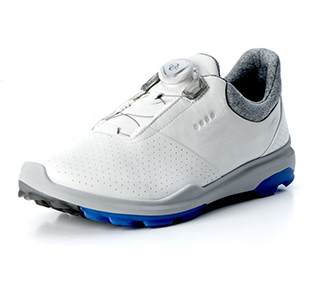 In addition to its clean, simple Danish design, this shoe also has ECCO Tri-Fi-Grip®. With three different zones – one for stability, another for durability and the third for rotation – that innovative outsole assists you through your swing, while it is comfortable and flexible when walking. This is also a shoe that will have you walking more naturally, and with greater power and efficiency, thanks to BIOM® NATURAL MOTION®, with that same technology also boosting feeling and stability. Yak leather improves breathability and durability, while the GORE-TEX® construction ensures the shoe is 100 percent waterproof. With the Boa® closure system, you can be sure of a snug fit, with the ability to make easy adjustments. ECCO TRI-FI-GRIP® with three different zones — STABILITY, DURABILITY and ROTATIONAL SUPPORT. 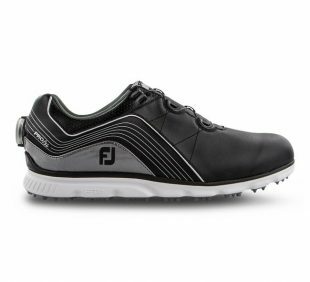 Pro/SL men’s golf shoes provide superior feel with Fine Tuned Foam (FTF) for supple cushioning and a perimeter weighted outsole design for superior stability. FJ, The #1 Shoe in Golf. PREMIUM GOLF SHOES DESIGNED FOR WET-WEATHER ROUNDS. 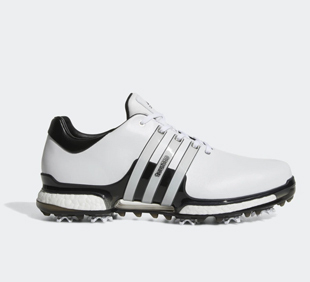 Built to outsmart wintry conditions, these golf shoes offer a classic look for the links. Featuring highly breathable, seam-sealed protection from the elements, they’re designed with a premium leather upper for extra comfort and a locked-in feel as you attack pins. A responsive midsole returns energy on every swing. The eight-cleat outsole provides enhanced grip on wet surfaces. We can special order any mens, ladies, or junior shoes that these vendors offer. Anything from Narrow to Extra Wide and anything in between; because at Illini Golf, your game is our business.